The Synagogue congregation is invited to attend the Cape Cod Synagogue Sisterhood and Men’s Club Members Breakfast/Brunch on Sunday April 28, 2019 from 10 AM – 12 PM. The Sisterhood and Men’s Club continue to provide social and informational programming and are co-sponsoring this event with Congressman William R. Keating as the Breakfast/Brunch speaker. 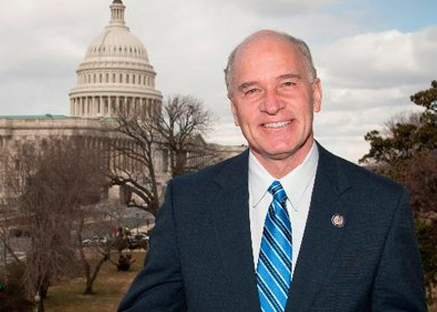 Congressman Keating represents the 9th Congressional District in Massachusetts. The 9th Congressional District encompasses the Cape and Islands and the South Shore-stretching north to Norwell; south to Nantucket; and east to Provincetown and Fall River. We expect a large turnout wishing to meet and hear from the Congressman. Please RSVP by Thursday April 18 by sending an email to Mensclub@ccsynagogue.org and if your reservation is for more than one person please indicate the number of people and the names of those who will be attending. $8.00 per person for Paid-Up members of both the Sisterhood and Men’s Club. $10.00 per person for Non-Paid members and guests. Checks should be made payable to the Cape Cod Synagogue Men’s Club.